Speaking ahead of his participation in the upcoming Abu Dhabi International Petroleum Exhibition and Conference (ADIPEC 2016), Ali Al-Janabi, Shell Abu Dhabi VP and Chairman, has said that while fossil fuels will continue to lead the global energy mix, a changing energy landscape makes it imperative that the oil and gas community adopts effective transitional strategies both on and off the field. “[The] evolving energy landscape will shape where investments are being made going forward. As a knowledge-sharing platform that brings the world’s leading experts under one roof, ADIPEC will enable stakeholders within the petroleum industry to identify opportunities in line with this global shift towards more sustainable energy resources,” Al-Janabi added. Research and technology as a transitional strategy. Next generation leaders in a changing world. The resilience of the oil and gas industry in the future global outlook. The future of natural gas in a more environmentally friendly world. The impact of petroleum industry on the economy. HSE and risk management technology. Investment challenges in current market conditions. Confirmed ADIPEC 2016 speakers include Patrick Pouyanné (Chairman and CEO of Total), Bob Dudley (CEO of BP), Alexander Medvedev (Deputy Chairman, Management Committee, Gazprom), Vicki A. Hollub (President and CEO of Occidental Petroleum Corporation), Saad Sherida Al Kaabi (President and CEO of Qatar Petroleum) Claudio Descalzi (CEO of ENI) and Mario Mehren (Chairman of the Board of Executive Directors of Wintershall). 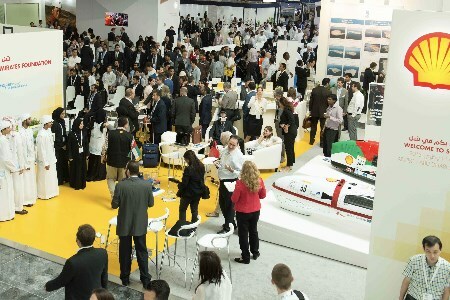 Established as a world leading oil and gas exhibition and conference, the annual 4four day ADIPEC event will take place from 7 - 10 November 2016 at the Abu Dhabi National Exhibition Centre.